I made this project as a way for my kids (and myself!) to be reminded how much we have to be thankful for! We have been busy writing what we are thankful for on all of the leaves! I love to walk by and look at them! I made the banner and leaves with my Silhouette. The banner was Lori Whitlock's "happy birthday banner 2". I had to change the word on the banner, so I used "ActionIs" font for the letters. The leaves were from the "8 fall leaves" shape also by Lori Whitlock. My Silhouette cut everything out, so I just had to assemble and laminate. I especially wanted to laminate the leaves so that I can wipe them off and use them again next year. 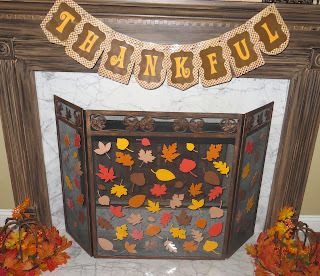 I added magnets to the back of the leaves so they would stick on our metal fireplace screen. 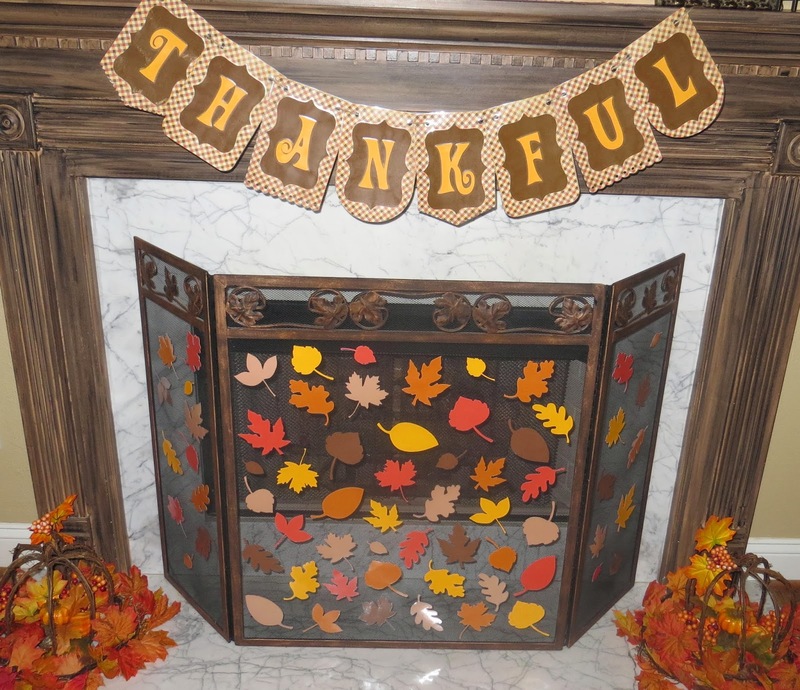 I love how it turned out and how it reminds me to be thankful!